All WILG recipients – and their families – should be alerted to the following letter, which explains what happens next in the WILG transition process. This is particularly important for those of us who are unhappy with the level of support we’re receiving from local authorities. I am happy that we have made further progress, but now is not the time to celebrate. We have to make sure that local authorities implement the instructions that they have received from the Welsh Government. An official response from the #SaveWILG Campaign to this letter will follow after the Easter break. As we reach the end of the two years where people who used to receive payments from the WILG have been transferring to local council support, I would like to share an important update with you. Since 2017 local councils have met nearly all people who used to receive WILG payments and agreed with them what care and support they will receive in future to help them live independently. Some people will now be having all their support arranged by their local council and others will be receiving direct payments so they can purchase this support themselves. For the vast majority of people their new care and support is similar to what they had using their WILG payments. In some cases it has increased, to support their ability to live independently. For a small number of people, the new package of care and support is smaller than what they had previously received through WILG. This can be for a range of good reasons, for example where people’s needs are still being met but just in a different way. We know from our enquiries that many people are content with the new support they are receiving, even when that package of care is smaller than before. However, some people disagree with the outcome of their local council’s assessment. Everyone in Wales deserves support to live independently. 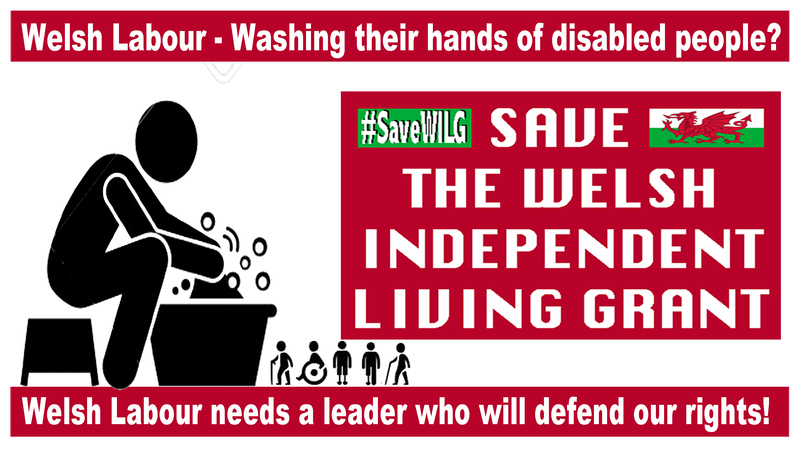 As a result I have concluded that people who used to receive the WILG and now disagree with their council’s assessment of their care needs should have the option of having their needs looked at again by an independent person. If you agree with the package of care and support from your local council, then this update does not affect you and you do not need to respond in any way. However, if you disagree with the outcome of your new care arrangement, please contact your local council to ask for an independent assessment. Or if you have not started or completed your assessment yet, and would prefer for this to be done independently rather than by your local council, please also let your local council know about that. In either case, if you would like an independent assessment please let your council know by Friday 14 June 2019, at the latest. Your current care will remain unchanged until after the independent assessment has been completed. The Welsh Government will be paying for these independent assessments and meeting the cost of any additional care and support a person might need as a result of them. Because of this, for people who used to receive WILG, while care arrangements may change in order to better meet people’s needs, this should not be in order to make any savings. I do not want people to be waiting for an independent assessment. However, it is important to organise these independent assessments properly, so that they meet the required standards. We plan to have the arrangements for the independent assessments in place by the end of June so as to begin these from July onwards. Your patience, therefore, will be appreciated, while the details are worked out.